Everybody in South Florida is talking about Winter Starburst again. This time of year the shrub bursts forth with a floral display like no other. 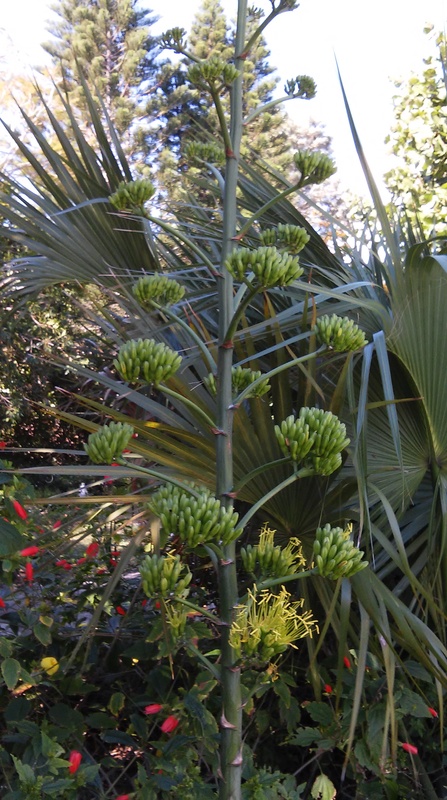 The flowers eventually spread to about 10 inches across and the shrub itself can grow to 10 feet tall. A Winter Starburst Clerodendrum in full bloom is nothing short of spectacular. A bonus to the Winter Starburst is deep green coarse textured foliage with purple backs that look great year round. 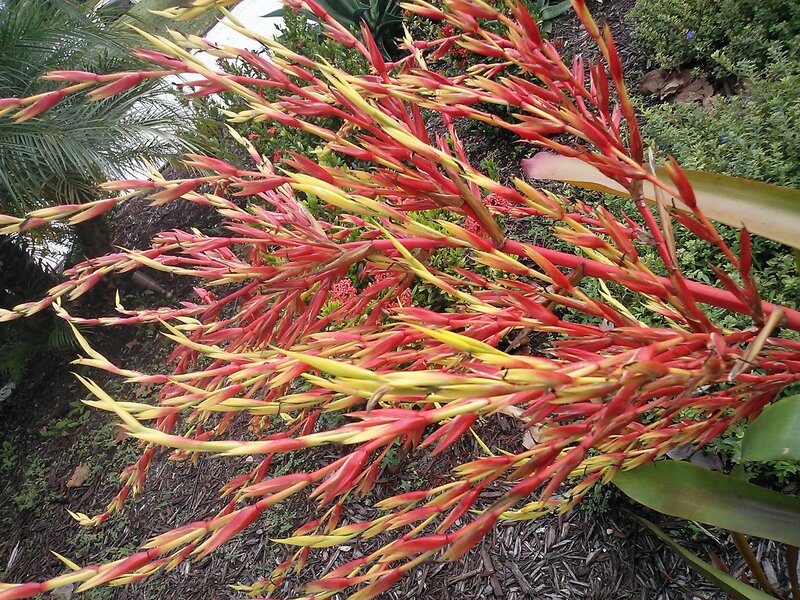 My first January in South Florida I nearly wrecked my car trying to get a good look at this shrub and figure out what it was. 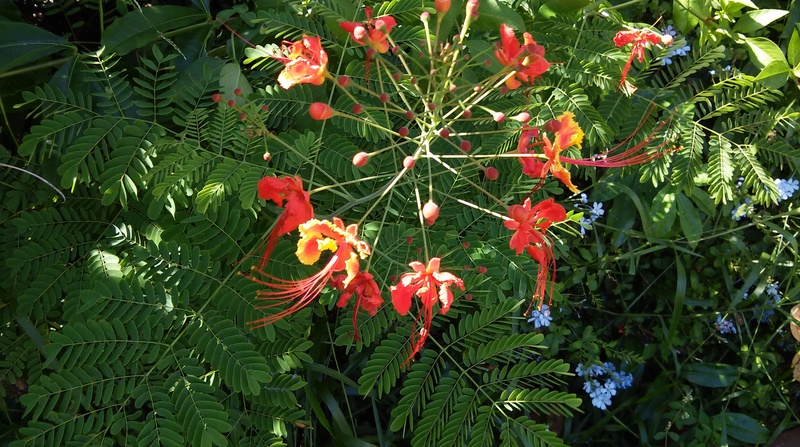 It is a showstopper that resembles a funky tropical rhododendron. 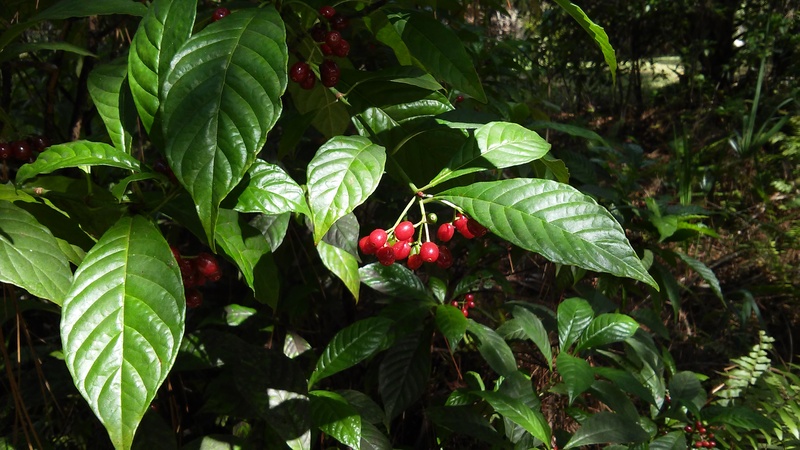 Here’s the scoop, the botanical name is Clerodendrum quadriloculare. 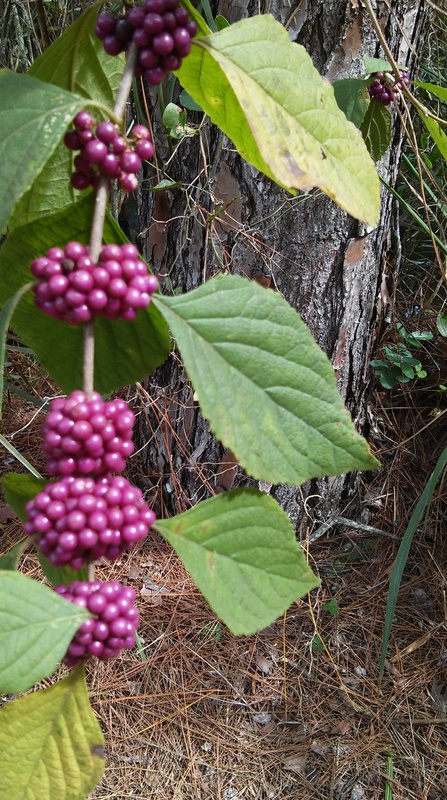 These shrubs are native to Southeast Asia and members of the Clerodendrum genus of plants which encompasses vines, shrubs and vining shrubs. Given their viny tendencies these plants can be troublesome in our gardens, they can spread unchecked and lend either – overgrown or if you prefer, a cottage garden vibe to your environs. The photos above are of my late Winter Starburst. It expired last year due to poor installation and maintenance by the owner. 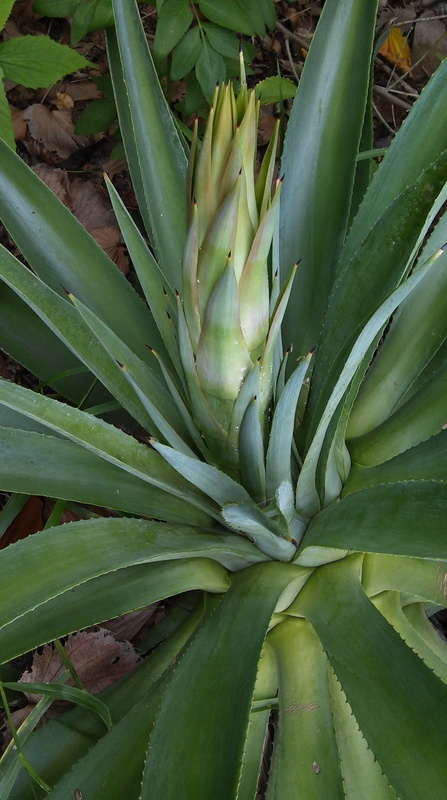 It is true that these plants need partial shade and moist soil until well established. As I live in Scruburbia (Florida Scrub – sand, not sandy soil) I did not take the advice to heart and prepare the soil or water regularly. However, having witnessed another winter display from this shrub, I think I will try another planting or three! 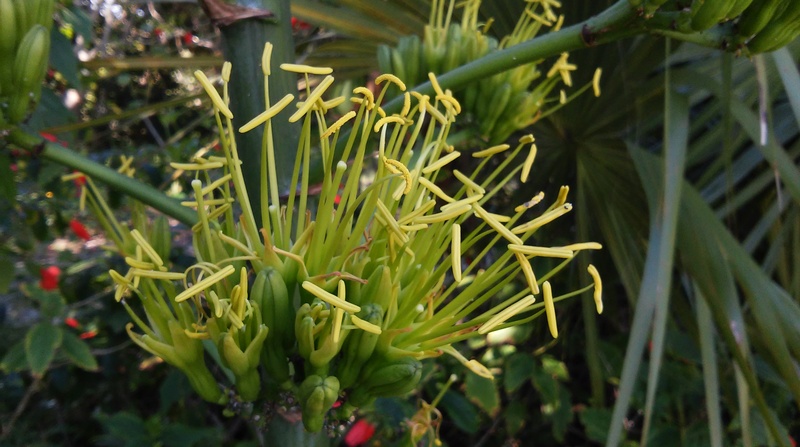 Two and one half months later – the flower stalk is over seven feet tall and has these wonderful chartreuse flowers. I am guessing these are florets? The flowers start out looking like rectangular budded broccoli and then bloom. I am waiting to see what this plant might do next.